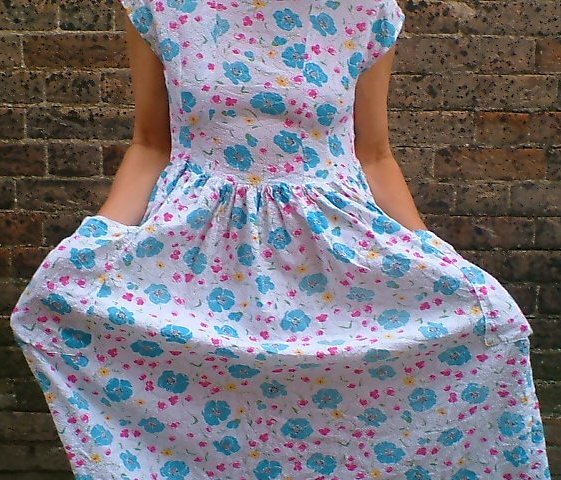 Vintage 1940s pink and bue flowery summer dress. 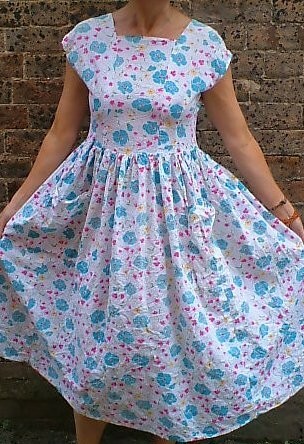 This is the most perfect dress of its time that I have seen! 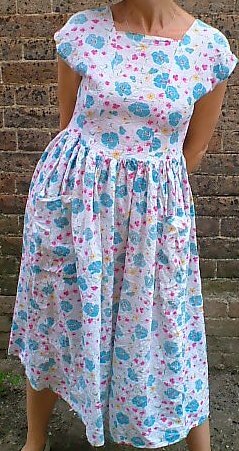 Made fom a gorgeous seersucker cotton, sprinkled with pink and blue flowers, falling straight to the waist and with two pockets....plus, it is in practically perfect condition! 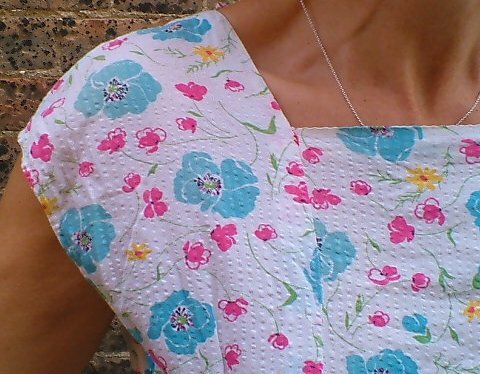 It was made at home from fabric saved 'for a rainy day' (or, in this case, a special occasion - a family wedding, in fact) towards the end of the second world war, or slightly later. I don't believe it was worn more than once or twice: in those days, people kept all sorts of things for 'best' including clothes and even rooms in the house, bizarre as it seems today! It fastens with a rear zipper, which is not usual for the time (but not unknown, either) which has probably been replaced at some time; other than this, it is 'as new'! 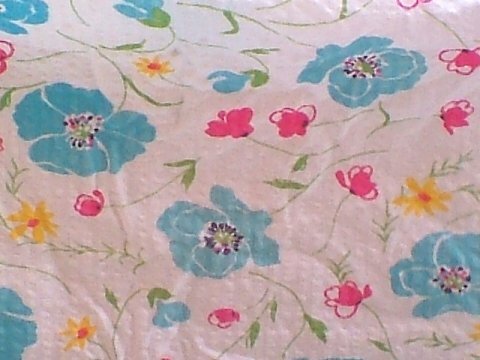 It is in excellent condition, except for some fading: you do have to look quite hard to see this. 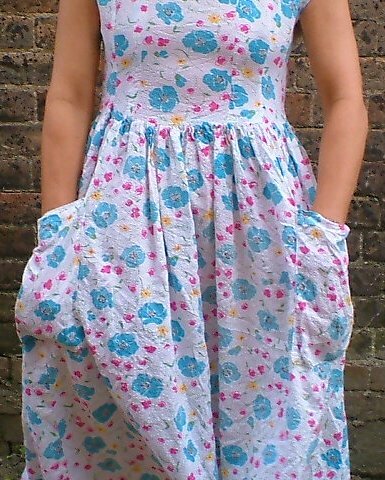 I suggest that best fit would be a modern UK size 10 - 12. 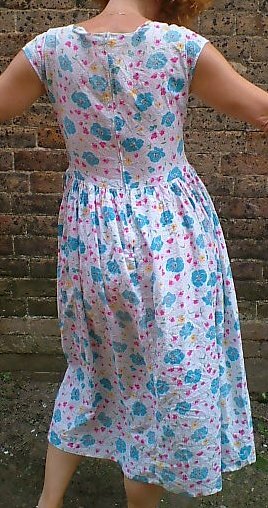 Approximate measurements are: bust 39 ins/99cms, length of bodice 14 ins/35.5 cms, waist 30½ ins/77.5 cms.